Animal Care and Control ACCT) is a non-profit housed in a City-owned building. It holds the contract for City animal control services. Because of its success in increasing adoptions of unwanted animals, it received a grant from Petco. The new Center will make a welcoming place for prospective owners, and will allow for meet and greet areas with pets. The building will need to be durable and eye-catching, on a very tight budget. Health Center 10 in Northeast Philadelphia serves a diverse population, and accommodates many more patients per year than the facility was designed to handle. New Central Check-In improves the patient experience and allows staff to work more efficiently. A public elevator was added next to the monumental stair leading to the basement, which will become a new Pediatric suite. As a result of a study by the architects of the functioning of the medical areas, architectural changes were made to free up exam rooms that had been converted to offices. Single glazed storefront and operable windows were replaced with thermally broken units with insulated glass and brick walls were insulated. A second phase will also include two additions to the first floor, housing patient service consultation rooms and a training room. Phasing is being carefully considered for all parts of the project, as the Center must remain open throughout construction. Industry and charity meet in the firm’s long association with Philabundance, the largest hunger relief organization in the Delaware Valley. The firm assisted in site selection and designed renovations to a former warehouse building located in the Food Distribution Center in South Philadelphia to serve as the organization’s new headquarters. Significant funding came from the Nonprofits Energy Savings Investment Program (NESIP). The headquarters offers warehouse space, loading docks, a community meeting room with a demonstration kitchen, and administrative offices. Truck drivers, warehouse staff, operations and administrative staff cross paths and meet casually in a brightly colored, skylit lobby and welcoming break and lunch spaces. Over a ten year period, the firm planned and programmed the adjacent warehouse when it was acquired, did zoning work to buy an adjacent lot, and helped to meld functions when the Philadelphia Food Bank became part of the organization. In 1869 The Women’s Humane Society opened the first shelter in the United States dedicated to saving unwanted animals and finding them homes. The project made the public areas of the twenty year old building more welcoming, and the staff areas more open and conducive to collaborative work. Kennels were air conditioned and cat areas were renovated to include a space for play and socialization. The Gardener’s Cottage is a maintenance building that houses all park electrical and irrigation services. It is a tiny, picturesque structure dating from 1908, with thick German lap siding, multi-paned windows and a hat-like peaked roof. It had suffered from an electrical fire, the siding and the structure were in poor condition, there was no foundation and its yew bushes had become a haven for rodents and unsavory human activity. This project restored the Gardener’s Cottage and replaced its surrounding service areas. Original windows were restored and the roof structure was retained, but the framing and custom German lap siding are new, as both were too deteriorated to save. A “Green Screen” fence encloses equipment. Work included meetings with Fairmount Park personnel and the client, Friends of Rittenhouse Square executive committee, and presentations to the Historical Commission. Two years after completion, the architects coordinated installation of original bronze artwork on the double gates. Belmont Stable is a unique treasure amongst the riches of Fairmount Park. The stable was designed for Fairmount Park by Herman Miller and completed in 1936. It is an imposing structure of local stone with two symmetrical stable wings. Each wing has eighteen stalls, with two additional box stalls in the central hall. There are meeting rooms in the second floor central hall, with hay lofts to each side The building houses a museum of the Buffalo Soldiers, a historic African American infantry and cavalry regiment. The Bill Pickett riding Academy also calls the building home. The group brings city children in to build their selfconfidence by learning to care for and ride horses. Special responsibilities come with this special building. The scope of work includes window, door and trim rehabilitation at both floors; upgrades to the electrical system; passive ventilation measures; new toilet and storage rooms; improvements to accessibility at the first floor and improvements to the outdoor riding arena. Lager Raabe Skafte Landscape Architects led a team to make recommendations for the heavily used area between Columbia and Strawberry Mansion Bridges. 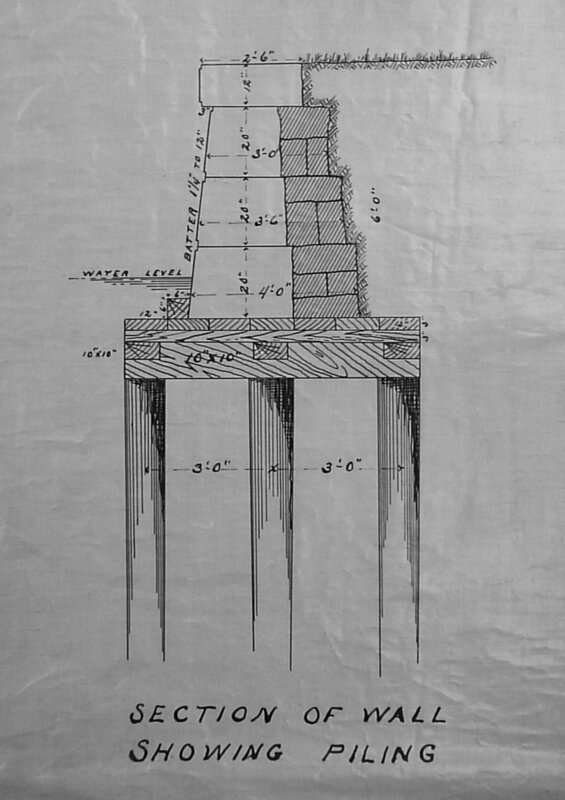 Ms. Bolender acted as architectural and rowing consultant, and made specific proposals for the East Park Canoe House, which was built in 1912, burned down the next year, and was almost immediately rebuilt. It is a very fine long, low building in the Mission style, designed by Philadelphia architect Walter Smedley. Managing storm water from the cliffs and Kelly Drive was a priority. The project was funded by the Fairmount Park Commission and the Schuylkill Navy. Work included presentations and discussions with both groups to gather input for the final report, as well as meetings with Fairmount Park staff. 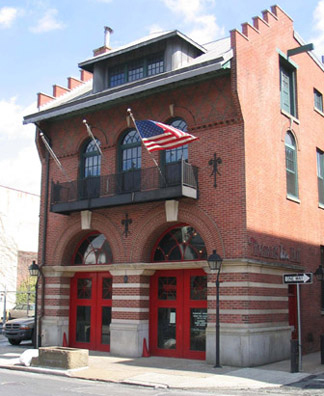 The Fire Museum is an integral part of the rich mix of galleries and former industrial buildings in Old City, Philadelphia. The building houses the unique and valuable collection of artifacts collected by the Philadelphia Fire Department. Deterioration of the windows had jeopardized the historic items. The essence of the project was in choosing an appropriate window type, and then securing the approval of the Philadelphia Historical Commission. Being firefighters, the Department requested aluminum windows for longevity and resistance to fire. That proved to be unacceptable to the Historical Commission, and the architects worked with Pella windows to develop trim details and find muntin sections in a clad window to match the original wood. The acceptance of those windows by the Historical Commission was the first approval of clad windows for a building of this size in Center City. Auto Shop 134 is a fleet maintenance facility in the Hunting Park area of the city, serving police cars, fire trucks and ambulances. The project was to be a prototype for the use of photovoltaic technology on large, flat-roofed industrial buildings. The design team assisted the Mayor’s Office of Sustainability in preparing grant applications to fund the solar application and conducted a study of the facility to determine its suitability for photovoltaics. Not surprisingly, the roof had no excess structural capacit, so Building Integrated Photovoltaics (BIPV) were proposed. Other than the structural limitations, the building was a perfect candidate – 62,000 square feet of unshaded surface. Grant applications were not successful, so the project went ahead as a reroofing project, using a white EPDM roof to reflect heat and make the work areas more comfortable during the summer. The project produced a comparative study of “cool roof” types and photovoltaic installations useful for other City-owned buildings. Aluminum jalousie windows were replaced with double hung at the enclosed porch. With Historical Commission approval, clad windows were chosen for this project due to the harsh waterfront location, the location of the building that makes all views quite distant, and the absence of historic windows on the porch. Historic doors were retained. Kiki Bolender is a member of the Board of Directors of Friends of Historic Sedgeley.